"Matterhorn Alpenglow" by Paul McGehee. A beautiful and colorful early painting by the artist, painted at the age of 11. The Matterhorn, the iconic mountain of the Alps which overlooks the small village of Zermatt, Switzerland is one of the most recognizable in the world. The steep ascent to the peak is a challenge for experienced mountain climbers. 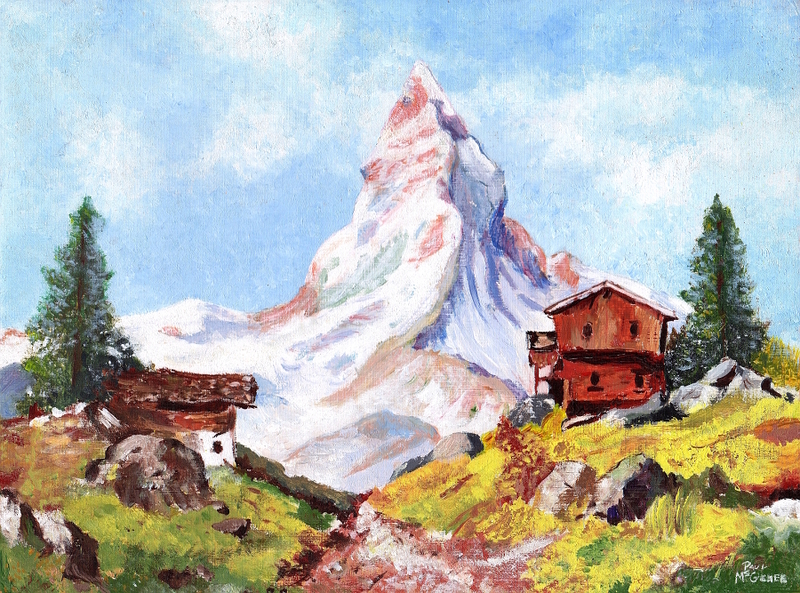 "Matterhorn Alpenglow" is faithfully reproduced from Paul's original acrylic painting in a limited edition of 2,000 hand-signed prints.